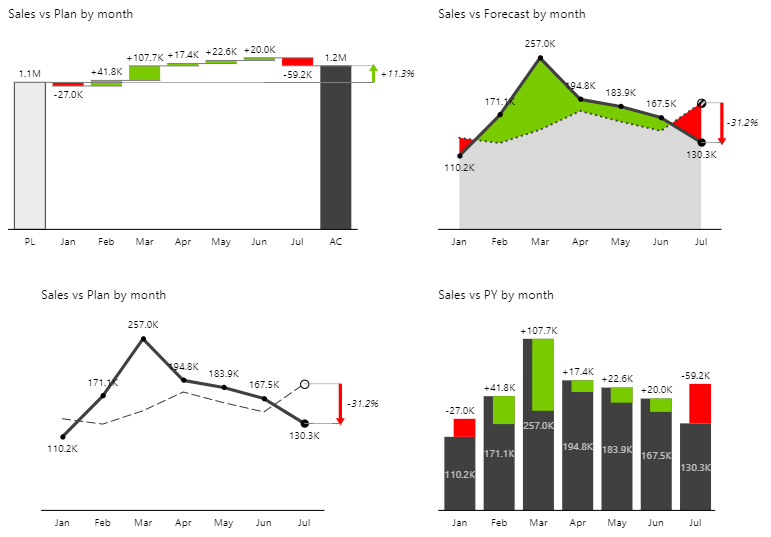 Zebra BI visuals for Power BI are designed to help you build extremely clear, detailed and insightful business reports and dashboards in Power BI. A special attention and a great deal of effort have been invested into making the process of building even the most complex business dashboards a straightforward, extremely fast and enjoyable experience. 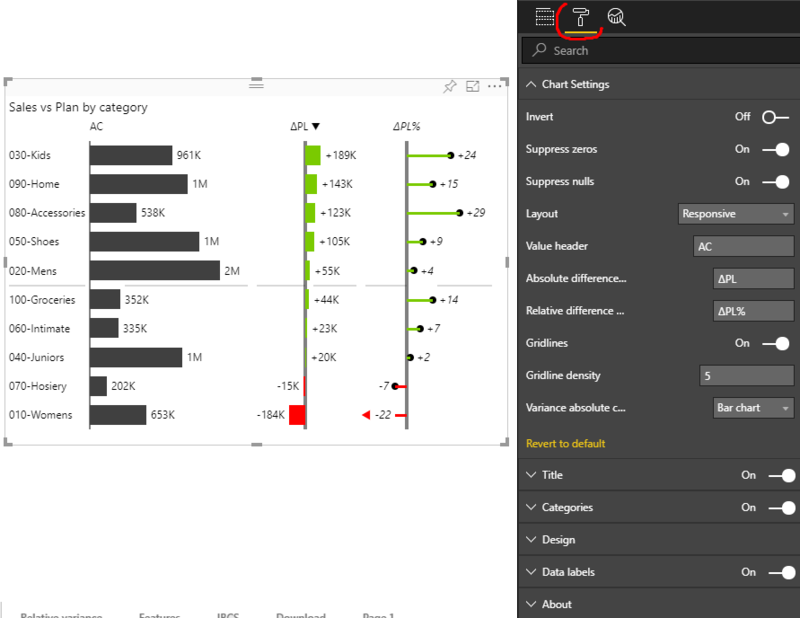 The Zebra BI visuals work in the Power BI Desktop application as well as in the Power BI service (cloud). 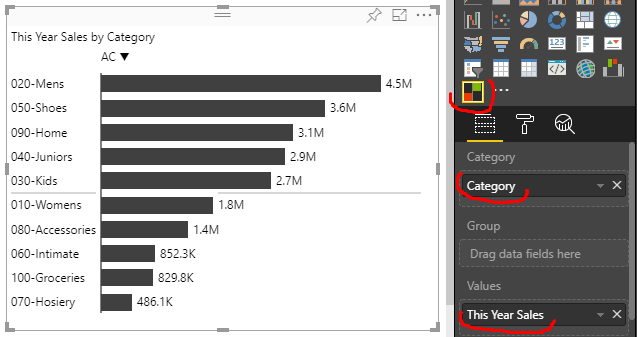 You can share them with your audience through the Power BI service, Power BI Report Server, Power BI mobile apps or Publish to Web. Zebra BI PowerTables features charts with vertical axis and various table-chart combinations. These charts are used for visualizing structure data such as products, customers, regions, accounts, business units, cost centers, etc. You will get a simple chart with clearly visible trends. Click on the left/right slider buttons to choose the most suitable chart type. 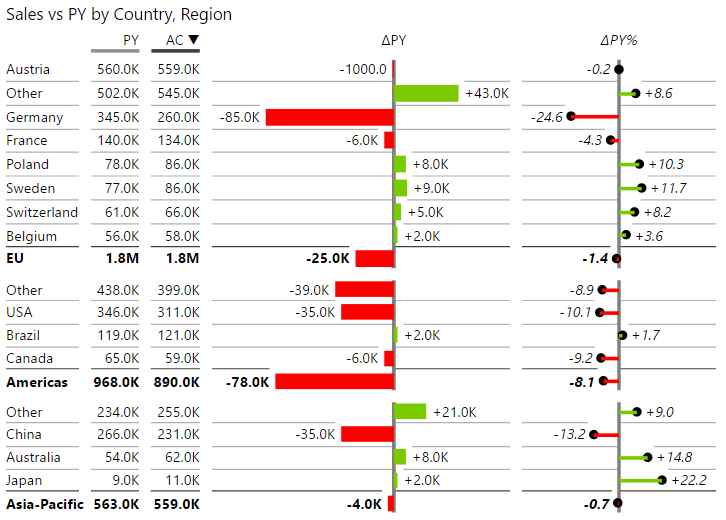 In general, use column charts with a small number of categories (e.g. a few yearly values or months) and line charts to present trends over longer time-series. The category field will be displayed on the axis. The sorting, layout and the handling of outliers works automatically in both visuals (based on the values and available space). 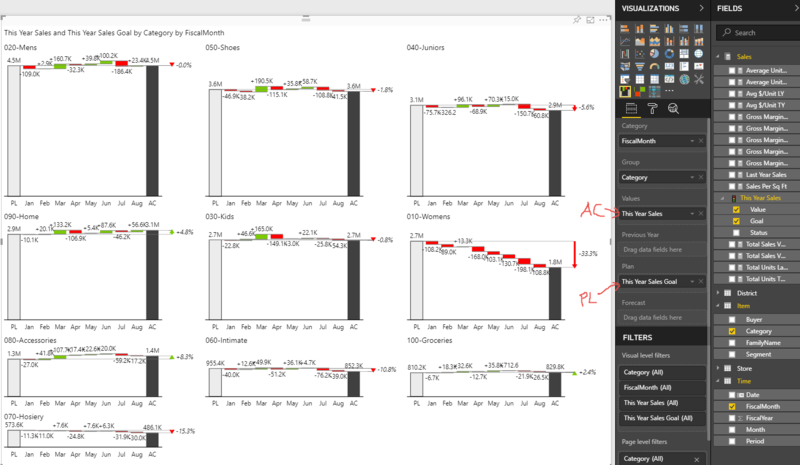 Only the relevant settings in the context of the currently displayed chart/table will be presented to you. You can adapt the design of our charts to your preferred or corporate colors, choose the most appropriate formatting of data labels, turn chart features on/off, control the placement of titles, manage the font types and sizes, and adjust even the tiniest of details in charts, such the density of gridlines, suppression of small labels or pixel-perfect positioning of category labels.